The producer price index (PPI) for final demand in May, not seasonally adjusted, rose 0.4% from April and 2.8% y/y from May 2017, BLS reported on Wednesday. AGC posted tables and an explanation focusing on construction prices and costs. Final demand includes goods, services and five types of nonresidential buildings that BLS says make up 31% of total construction. The PPI for new nonresidential building construction—a measure of the price that contractors say they would charge to build a fixed set of buildings—climbed 0.1% for the month and 4.2% y/y. Increases ranged from 3.6% y/y for warehouses to 4.1% for offices, 4.5% for health care buildings, 4.6% for schools and 4.8% for industrial buildings. PPI increases for subcontractors' new, repair and maintenance work on nonresidential buildings ranged from 1.1% y/y for roofing contractors to 4.3% for concrete and plumbing contractors and 4.5% for electrical contractors. The PPI for inputs to construction—excluding capital investment, labor and imports—comprises a mix of goods (56%) and services (44%). This index jumped 7.4% y/y, far outrunning the 4.2% PPI increase for new nonresidential building construction, implying a growing cost squeeze for contractors. Increases for inputs to seven nonresidential building types ranged from 5.9% for industrial structures to 10% for power and communications structures. Increases for inputs to construction totaled 5.7% y/y for services and 8.8% for goods (including items consumed by contractors, such as diesel fuel)—the biggest jump since July 2011, as the sub-index for energy soared 32%, while the PPI for goods less food and energy rose 5.7%. PPIs for inputs to new residential structures rose 7.0% y/y for both single- and multifamily. Items important to construction that had major one- or 12-month price changes include diesel fuel, up 8.8% in May and 45% y/y; aluminum mill shapes, 5.0% and 17%, respectively; lumber and plywood, 3.6% and 14%; copper and brass mill shapes, 0.2% and 14%; steel mill products, 4.3% and 11%; asphalt felts and coatings, 1.5% and 8.9%; truck transportation of freight, 0.8% and 6.5%; architectural coatings, 1.4% and 5.7%; and concrete products, -0.1% and 5.1%. Prices do not reflect the latest tariffs on steel and aluminum and on numerous imports from China, many of which affect construction. "Contractors are projecting construction staff wages to increase an average of 3.4% (excludes 0% projections), based on the 295 companies in this 36th edition of the Construction/CM Staff Salary Survey," construction compensation consultant PAS reported this week. "The 2017 C/CM Staff actual increase came in at 3.7%. Though the projected 2018 increase is 3.5% for professionals and middle managers, historically predictions are usually about .5% low, so year-end 2018 most likely will exceed 2017's 3.7% increase." 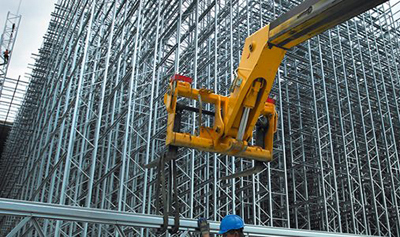 The value of nonresidential construction starts in May jumped 12.5% from May 2017, not seasonally adjusted, data provider ConstructConnect reported on Thursday, "boosted by big hotel and manufacturing projects. Foxconn Technology's $10 billion project in Wisconsin was a standout." However, nonresidential starts for the past 12 months combined dipped 1.3% from the prior 12 months.Residential starts slumped 4.1% y/y and 8.2% for the 12-month total. Natural gas liquefaction projects appear likely to boost manufacturing construction in 2018 and beyond. "The United States is expected to add 6.05 Bcf/d [billion cubic feet per day] of new liquefaction capacity by 2021, in addition to 3.5 Bcf/d already in operation at Sabine Pass and Cove Point," the Energy Information Administration (EIA) reported in Monday's "Today in Energy" article. "This year the Elba Island liquefaction project in Georgia is expected to commission the first six of 10 small modular liquefaction units, or trains, with a combined capacity of 0.2 Bcf/d. New trains at Cameron, Freeport and Corpus Christi—all along the U.S. Gulf Coast—are expected to be commissioned in the next three years. A list of all U.S. liquefaction facilities and their status [including contractors' names] is available in EIA's new database of liquefaction facilities." The Census Bureau on Thursday extended the reporting deadline for the Economic Census until June 19 because of "high call volumes and long wait times. If respondents are having trouble getting through to the Census Bureau, they have the option of sending their question through a secure message using their Respondent Portal account or they can call back at a later time....If you received the Economic Census, your response is required by law and due on Tuesday, June 19." "The Data DIGest is a weekly summary of economic news; items most relevant to construction are in italics. All rights reserved. Sign up at http://store.agc.org/.